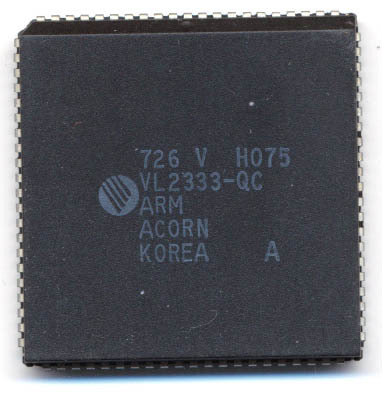 Ken Shirriff has an interesting article on reverse engineering the original ARM1 processor (as designed by ARM, and implemented by VLSI). He goes right to the silicon to form a transistor level model/emulator of the chip. Back in 1986 when the ARM was designed and released, it wasn’t very well known, being used in very few devices. This continued for over a decade surprisingly. being used in niche markets (the Apple Newton, the DEC StrongARM on RAID cards, etc). It wasn’t until the 2000’s that this processor startup from England became the powerhouse it is today. Two major developments drove this, mobile, and multimedia. The ARM architecture was powerful, small, and easy on the power budget, this obviously was a benefit for mobile, but also proved very useful in dealing with multimedia processing, such as controllers on DVD players, digital picture frames, MP3 players and the like. Today, hundreds of companies license and use the architecture and it is found in devices now numbering in the billions.